It never fails, a “new” person arriving for work gets the dogs all excited. They run around, jump up and down, bring toys and if they are little enough, they might even get picked up for cuddles.Perkins always insists that Jolene pick him up first so he can slather her in kisses. Below, you can see Amber not-so-patiently waiting for her turn to be picked up. Some dogs love to wrestle and play, other dogs love to fetch and will only wrestle and play when we refuse to throw the ball. Tucker, Kinsey and Coulee are all examples of dogs that would rather play fetch above all other activities. If we threw the toy for 11 hours, they would fetch the toy for 11 hours. Kinsey waiting patiently for the toy to be thrown. Tucker standing close to make sure I don’t forget. Coulee’s strategy is to stand where she thinks I’m going to throw it so she gets there first. Vito thinks fetching is a spectator sport. He has the best seat in the house – my lap! The pool seems to be providing endless hours of entertainment for both the dogs and us. You probably don’t recognize him without his head showing, but this is Yankee – the little rescue pup from the Prairie Dog Canine Rescue. The good news is, he is going to his new home on Saturday. The bad news is, we are going to miss him! 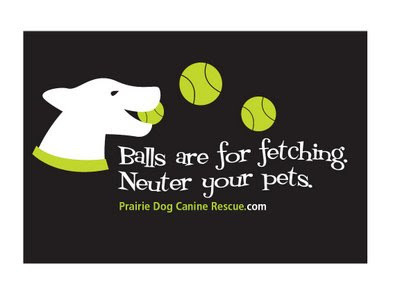 Speaking of the rescue…we are going to have their rescue T-shirts for sale at the daycare for $25. 100% of the proceeds ($10 per shirt) will go to the Rescue to help them with their vet bills. With the nicer weather, we are spending more time outside with the dogs, and of course, our camera. Here are our favorites from yesterday. Paden makes a new friend – Zorro and him were almost inseparable. Border Collie Sandwich – Jack and Kerry keep Sheba warm. We had a new black lab come yesterday…Cash. He is very cute, very active and a whole lot of fun. There is just one “problem”. He looks like Maggie Mae and to complicate things even further, he wears the same colour collar as her. When a fast moving black lab flys by, we are hard pressed to tell who it is. Maybe we’ll have to get them name tags. I first met Molly when I was walking dogs. She is very sweet and very stubborn! She lets you know when she doesn’t want to go in the direction you were planning on heading by sitting down and refusing to move. Eventually we managed to work out an agreement so that we were both happy – she led the way sometimes, I led the way other times. That just left one frustration – I was never able to get a decent picture of her! Even when she started coming to the daycare 2-3 times a week, we still couldn’t manage a good picture of her. Until FINALLY! A picture I quite like of Molly. It only took a couple of years. He may not think this is his best angle, but I thought it was pretty cute. Well you don’t get to say that everyday! 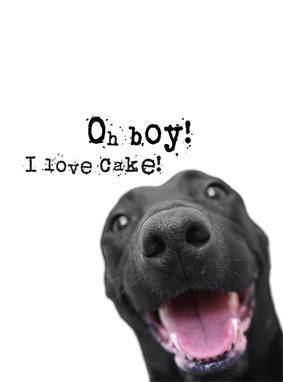 We are going to be the first in Canada to sell cards from Sincerely Fido. How exciting is that! 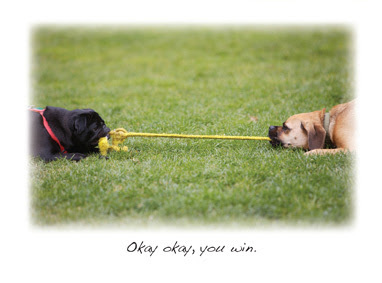 They are really cute and humorous cards that I stumbled across the other day. They are a fairly new company (hence why we are first in Canada) and I think they are almost more excited than we are (which is saying something!). I should probably mention that they aren’t here yet…we just ordered them today. I just couldn’t wait to spread the news. Wow. It is a good thing we don’t get a lot of rain here. We had lots of wet and muddy dogs today. Amanda had to give 5 of them a bath because they were way, way too dirty to send home. We should have taken some pictures of them but unfortunately we were too busy at the end of the day. Coco was almost unrecognizable under all the mud. I did manage to get a picture of a bunch of them hovering at the door to the outside. When they saw the rain, they put on the breaks. You can see Sheba (doberman) and Bosco (Burnese cross) trying to get back in. Kalo (boxer) has decided the view is just fine where he is standing… he didn’t really need to pee.